For a majority of the population, Summer is a season that people look forward to. In some parts of the world, the weather might be absolutely miserable with the heat and humidity, but there are plenty of other places where Summer is the perfect time of the entire year. Sure it might be hot, but as long as you have a body of water to jump into or a sprinkler to cool off in, Summer is filled with unforgettable memories, carefree times, and many a suntan and sunburn. Since the weather is so amazing, it’s hard to spend time inside. When people aren’t working, they want to spend every moment that they can enjoying the outdoors, breathing in the fresh air, and hanging out at bonfires or on the boat. Since people still have to work 9 to 5 jobs even during the summer, it limits the time they can actually spend outside, but it doesn’t have to be this way. Yeah. 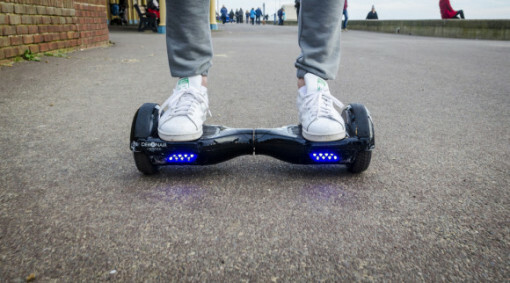 If you didn’t think that hoverboards are actually a thing, you’re wrong. Even though Back to the Future might have coined the invention, it has actually come to life. Maybe not in the same exact form, but it exists and if you’re seen riding around town on one of these bad boys, everybody will be calling you McFly, and in a really good way. Dont freak out if you don’t know how to ride yet, just get your hands on one, set off to do a little practicing and hover your way through town during this Summer season. Maybe this option isn’t as cool as a hoverboard, but it sure is convenient. Take off and show the world that you can ride your bike with no handlebars. You’ll get all of your exercise in without having to make time to go to the gym, you’ll be nice and tan and ripped from being in the sun and pedaling for days, and you’ll not have to spend even a penny on gasoline or other car-related expenses. It’s the perfect way to get around town. So maybe everybody doesn’t have access to a convertible, but if you do, you bet you’re going to be wanting to use it to get to and from destinations all summer long. There is nothing better than sitting in a car with the top down, blaring feel good music, and feeling the wind through your hair. Of course, if this is too pricey an option, you can always revert to the bicycle, or good old walking.